Still just 2½ weeks into the season, things are still quite early. But there are still several notable and surprising trends in the early going in Major League Baseball in 2019. The defending champion Boston Red Sox are off to a sluggish start in 2019, at just 6-10, thanks in part to an incredibly bad starting rotation to open the year. David Price was brilliant on Sunday to beat the Orioles with seven scoreless innings, earning just the second win by a Boston starting pitcher this season (both came this weekend). But even with that gem by Price on Sunday the Red Sox rank dead last in ERA among starting pitchers in baseball, allowing 68 total runs in 76 innings for a gaudy 7.34 ERA. The rotation was a strength in 2018 for Boston, ranking eighth in the majors in ERA (3.77) and sixth in strikeouts (930). Don’t look now but the Mariners are off to a scorching start thanks to an offensive that has outperformed everyone else. Seattle leads the majors in runs (7.0 per game), home runs (39), and even have more stolen bases (19) than everyone else. Seattle is 13-5 thanks in large part to hitting at least one home run in every single game. Those 18 straight games set a major league record for most consecutive games with a home run to start a season. The previous record was 14 straight games, by Cleveland in 2002. The only team with more home runs through 18 games than these Mariners is the 2000 Cardinals (42). The Mariners’ best month for home runs in 2018 was June, with 40. They already have 39 home runs this year, with still 14 more games left on their April schedule. The Rockies were a playoff team in each of the last two seasons, and entered this season figuring to be the Dodgers’ main competition in the National League West. But here we are a little more than two weeks into the season and Colorado is off to its worst start in franchise history. The Rockies are 4-12, and lost eight in a row before Sunday thanks to an anemic offense. They have scored a measly 46 runs in 16 games (2.88 per game), somehow only second-worst in the majors (Detroit is averaging 2.67 per game). Colorado has been held to two or fewer runs a whopping nine times this season, and have lost eight of those nine games. Sure the schedule hasn’t helped, with 11 road games in their first 16, but they the Rockies also lost all five home games, getting outscored 44-21 at Coors Field. Colorado struggling on offense isn’t terribly surprising. They finished second in the National League in runs scored but that was inflated because of Coors Field. Adjusted for park and league, the Rockies were disappointing offensively, with an OPS+ (90) and wOBA (87) well below average. Then they scored four runs in 41 innings in the postseason, getting eliminated in the NLDS. The Rockies didn’t do much to address their offensive woes during the offseason, either. Sure they signed Daniel Murphy, but also lost D.J. LeMahieu and Carlos Gonzalez. Those two didn’t exactly light the world on fire offensively, but were close enough to league average to at least not kill them. Second base has been a black hole, especially with Murphy hurt, as Garrett Hampson is just 8-for-47 (.170) so far. Ian Desmond has been quite bad, hitting .140/.183/.193 (8-for-57). He’s in the third year of a five-year, $70 million contract that looks more and more perplexing by the day. The only player above average offensively so far this year for the Rockies is David Dahl. The outfielder is hitting .343/.385/.629 with a pair of home runs, but is currently on the injured list, leaving Colorado’s lineup even more hollow. Thankfully for the Rockies, they got a temporary reprieve from the woes on Sunday thanks to German Marquez taking a no-hitter into the eighth inning in shutting out the Giants. Chris Davis set a major league record last week, extending his hitless streak to an unbelievable 0-for-54. The Orioles first baseman went 62 plate appearances without a hit before finally breaking out on Saturday against Boston. Davis singled home two runs in the first inning to snap the skid, then added two doubles. But the best part was Davis being so good-natured about it all, embracing his struggle throughout. The humor seeped through after the single, when Davis asked for the ball as a souvenir. Khris Davis is off to a roaring start thanks to a five-homer barrage over the weekend, and leads the majors with 10 home runs through 19 games for the A’s. Hitting .264/.312/.694 this year, Davis tied Bob Cerv (1958) for the most home runs by an A’s hitter through the first 19 games of the season. Davis led the majors last season with 48 home runs, and he leads baseball in homers since the start of 2016, the only player in the game with at least 40 home runs in each of the last three years. In a bit of cruel irony, Davis and the A’s were playing in Baltimore last week when the “other” Chris Davis set a major league record by extending his hitless streak to 0-for-54. During that A’s-Orioles series, Khris Davis had seven hits, including four home runs. MLB notes: Mariners keep homering, Red Sox pitching suffering Still just 2½ weeks into the season, things are still quite early. But there are still several notable and surprising trends in the early going in Major League Baseball in 2019. Boston uncommon The defending champion Boston Red Sox are off to a sluggish start in 2019, at just 6-10, thanks in part to an incredibly bad starting rotation to open the year. David Price was brilliant on Sunday to beat the Orioles with seven scoreless innings, earning just the second win by a Boston starting pitcher this season (both came this weekend). But even with that gem by Price on Sunday the Red Sox rank dead last in ERA among starting pitchers in baseball, allowing 68 total runs in 76 innings for a gaudy 7.34 ERA. The rotation was a strength in 2018 for Boston, ranking eighth in the majors in ERA (3.77) and sixth in strikeouts (930). Chris Sale at the top of the staff has struggled the most, allowing as many runs as innings (13) in losing all three of his starts. It’s still only three starts and the Red Sox are downplaying his poor start, though Sale told reporters last week, “I’m struggling. 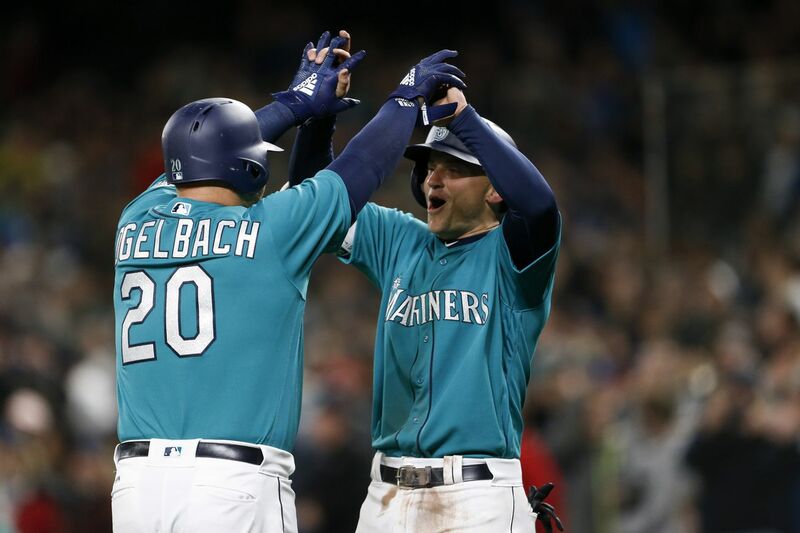 I don’t know if I’ve ever pitched like this in my life.” Seattle for nothing less Don’t look now but the Mariners are off to a scorching start thanks to an offensive that has outperformed everyone else. Seattle leads the majors in runs (7.0 per game), home runs (39), and even have more stolen bases (19) than everyone else. Seattle is 13-5 thanks in large part to hitting at least one home run in every single game. Those 18 straight games set a major league record for most consecutive games with a home run to start a season. The previous record was 14 straight games, by Cleveland in 2002. The only team with more home runs through 18 games than these Mariners is the 2000 Cardinals (42). The Mariners’ best month for home runs in 2018 was June, with 40. They already have 39 home runs this year, with still 14 more games left on their April schedule. Rock(ies) bottom The Rockies were a playoff team in each of the last two seasons, and entered this season figuring to be the Dodgers’ main competition in the National League West. But here we are a little more than two weeks into the season and Colorado is off to its worst start in franchise history. The Rockies are 4-12, and lost eight in a row before Sunday thanks to an anemic offense. They have scored a measly 46 runs in 16 games (2.88 per game), somehow only second-worst in the majors (Detroit is averaging 2.67 per game). Colorado has been held to two or fewer runs a whopping nine times this season, and have lost eight of those nine games. Sure the schedule hasn’t helped, with 11 road games in their first 16, but they the Rockies also lost all five home games, getting outscored 44-21 at Coors Field. Colorado struggling on offense isn’t terribly surprising. They finished second in the National League in runs scored but that was inflated because of Coors Field. Adjusted for park and league, the Rockies were disappointing offensively, with an OPS+ (90) and wOBA (87) well below average. Then they scored four runs in 41 innings in the postseason, getting eliminated in the NLDS. The Rockies didn’t do much to address their offensive woes during the offseason, either. Sure they signed Daniel Murphy, but also lost D.J. LeMahieu and Carlos Gonzalez. Those two didn’t exactly light the world on fire offensively, but were close enough to league average to at least not kill them. Second base has been a black hole, especially with Murphy hurt, as Garrett Hampson is just 8-for-47 (.170) so far. “We have plenty of time to snap out of this, but you don’t want to get too far behind,” Mark Reynolds told reporters Saturday, per Patrick Saunders of the Denver Post. “Every time I talk to you guys, it’s like, ‘We’ll be fine, we’ll be fine.’ But at some point, you have to hit that panic button.” Ian Desmond has been quite bad, hitting .140/.183/.193 (8-for-57). He’s in the third year of a five-year, $70 million contract that looks more and more perplexing by the day. The only player above average offensively so far this year for the Rockies is David Dahl. The outfielder is hitting .343/.385/.629 with a pair of home runs, but is currently on the injured list, leaving Colorado’s lineup even more hollow. Thankfully for the Rockies, they got a temporary reprieve from the woes on Sunday thanks to German Marquez taking a no-hitter into the eighth inning in shutting out the Giants. Hitless no more Chris Davis set a major league record last week, extending his hitless streak to an unbelievable 0-for-54. The Orioles first baseman went 62 plate appearances without a hit before finally breaking out on Saturday against Boston. Davis singled home two runs in the first inning to snap the skid, then added two doubles. But the best part was Davis being so good-natured about it all, embracing his struggle throughout. The humor seeped through after the single, when Davis asked for the ball as a souvenir. Yes, I do want that ⚾️, thanks! pic.twitter.com/VxR1bo1jPz— Baltimore Orioles (@Orioles) April 13, 2019 Perfect. Khrushing it Khris Davis is off to a roaring start thanks to a five-homer barrage over the weekend, and leads the majors with 10 home runs through 19 games for the A’s. Hitting .264/.312/.694 this year, Davis tied Bob Cerv (1958) for the most home runs by an A’s hitter through the first 19 games of the season. Davis led the majors last season with 48 home runs, and he leads baseball in homers since the start of 2016, the only player in the game with at least 40 home runs in each of the last three years. In a bit of cruel irony, Davis and the A’s were playing in Baltimore last week when the “other” Chris Davis set a major league record by extending his hitless streak to 0-for-54. During that A’s-Orioles series, Khris Davis had seven hits, including four home runs.